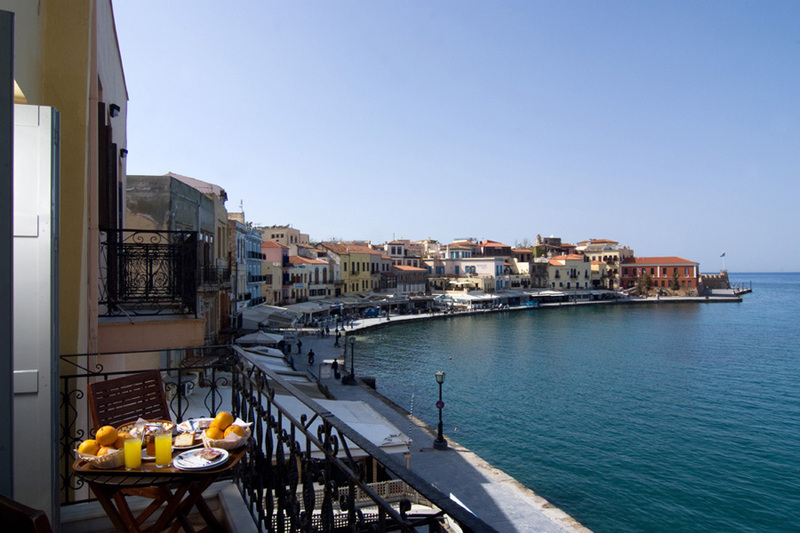 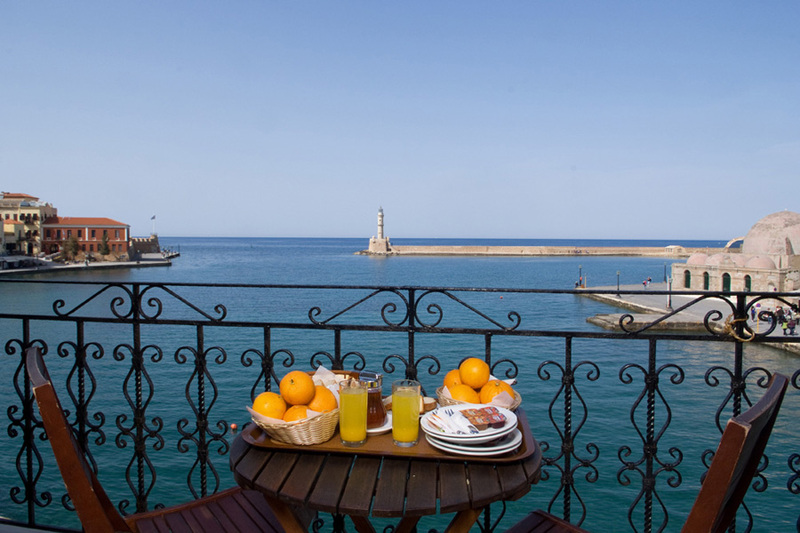 HOTEL BELMONDO is situated at the Old Town of Chania and offers magnificent view to the picturesque Venetian Harbour. 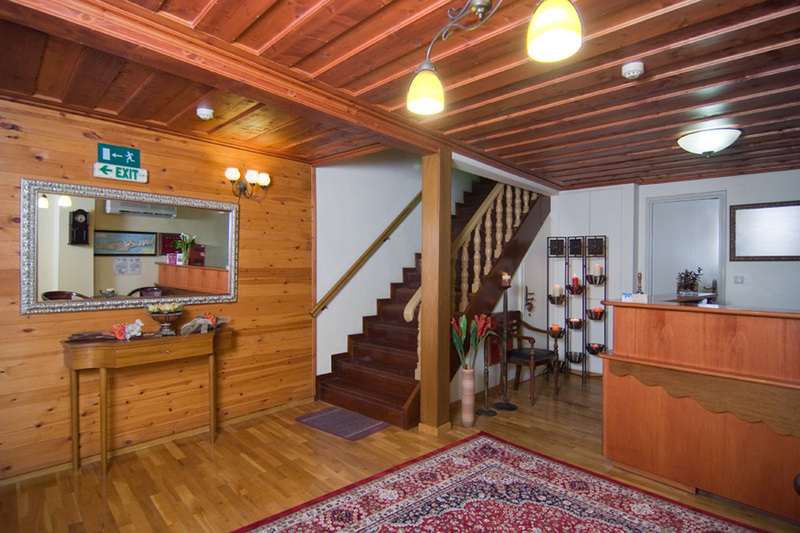 It is a traditional A\' Class hotel, with its own character and style. 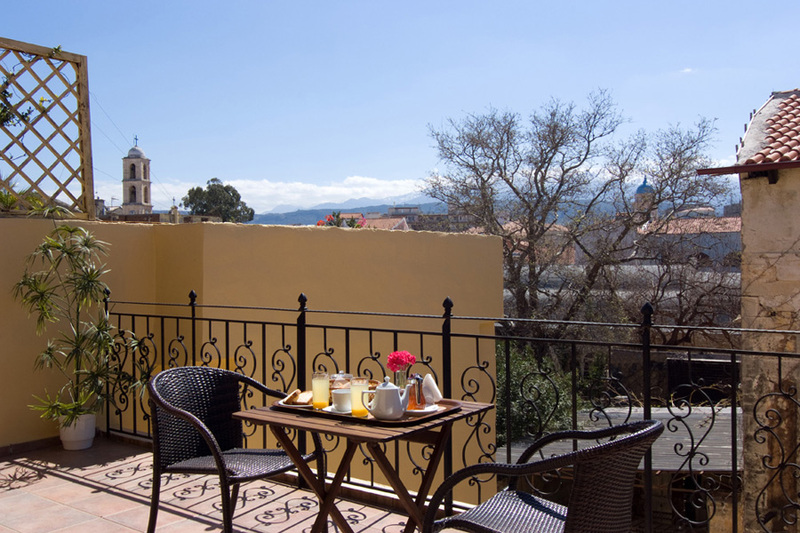 The hotel is lodged at a traditional, totally renovated building, in order to provide all modern comforts to its guests. 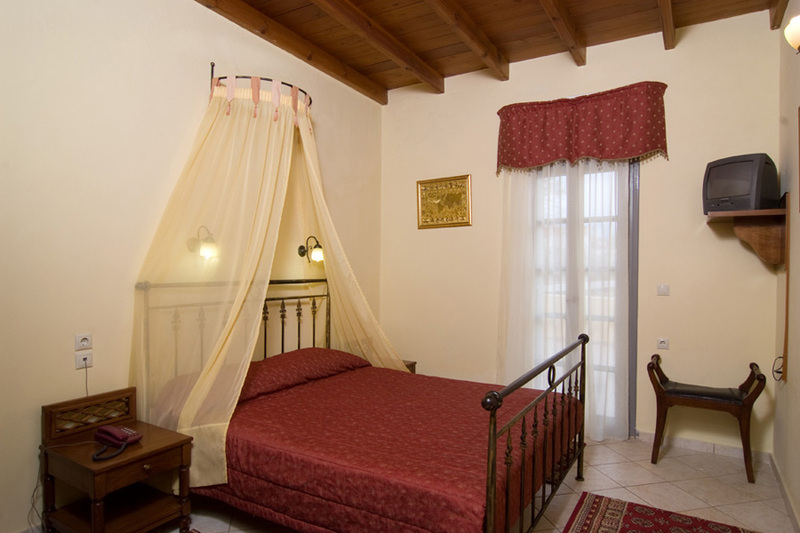 The Venetian architectural style creates a nostalgic atmosphere. 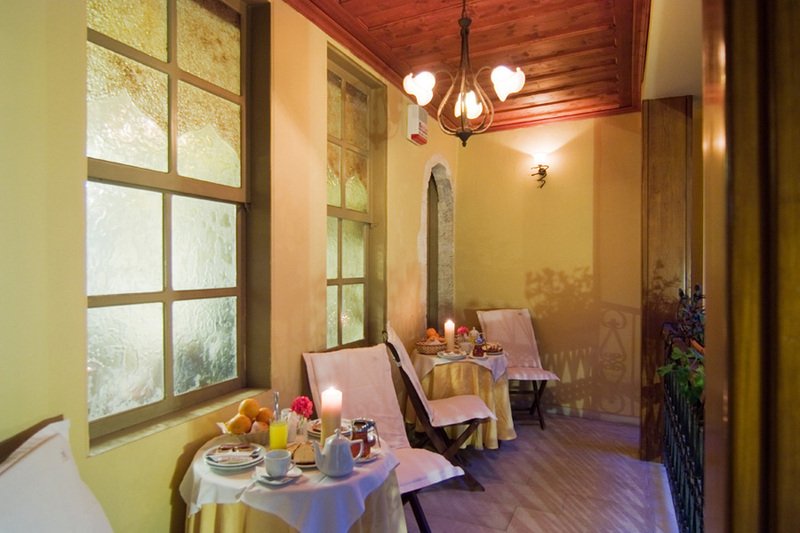 The combination of stone and wood, the Venetian style, the replica of Renaissance and Classic art and the antique furniture, give BELMONDO hotel a touch of elegance and romance. 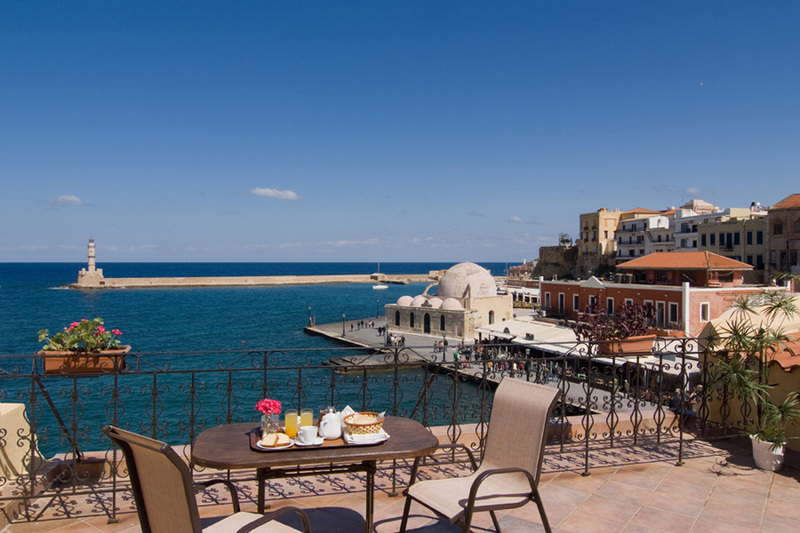 Belmondos proximity to the Venetian Harbor, makes this hotel ideal for those wishing to be close to the town and the most significant sights of Chania. 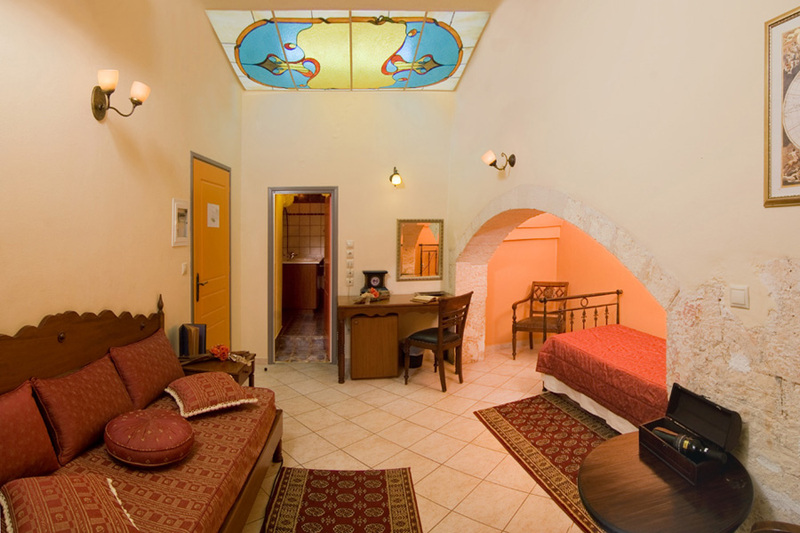 All rooms of Belmondo are spacious and fully equipped, offering a comfortable and pleasant accommodation to their guests. 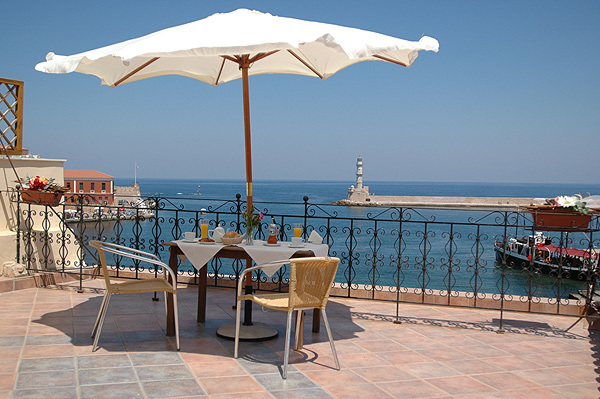 The hotel rooms offer magnificent view to the Venetian Harbor, the Lighthouse and the Maritime Museum. 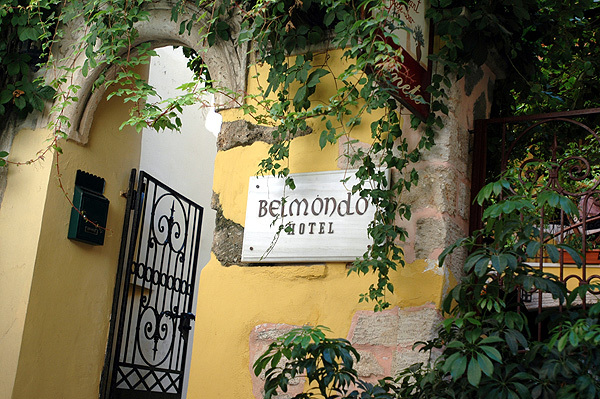 We, at Belmondo Hotel, promise you an unforgettable stay.